"The greatest Journey is the one that brings you Home." Before moving to Dallas, I lived in the city of Richardson for four years as I attended school. During that time, I got to know and love the area pretty well, including the other surrounding Dallas suburbs. Over the years, I got to see the area undergo a massive transformation, and as we all know very well because of the terrible rush hour traffic, it is continuing to expand as more corporations make the move to Dallas. If there is one thing I'm grateful for during this expansion process, it's the parts of the cities that have been a part of the suburbs for years and have yet to lose that spark that makes them so special. This is why Downtown Plano has become one of my favorite areas. In the past few weeks, I started working on a special project with some extremely talented people to help showcase Downtown Plano in all its glory. More details will follow in the next couple of weeks, but here is a sneak peek! 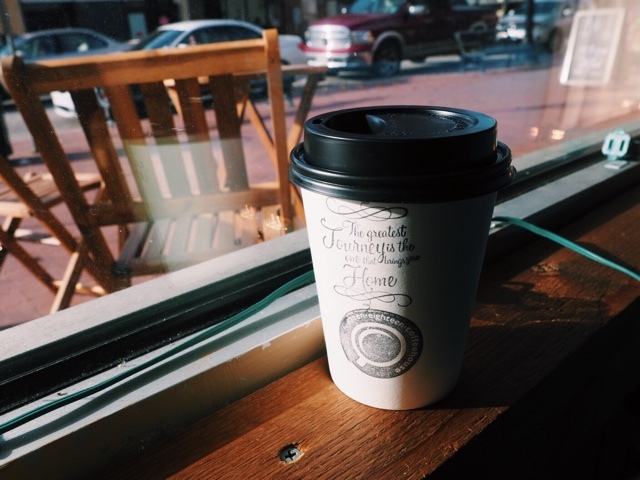 Fourteen Eighteen is a little coffeehouse right in the heart of Downtown Plano. It is trendy yet homey and has delicious coffee. What makes their shop even more special is that they support other local businesses. Their coffee is hand selected from Oak Cliff Coffee Roasters, and you'll even find slices of pie available for purchase from Emporium Pies (try the Smooth Operator--french silk chocolate with a pretzel crust)! It's always great to see local businesses supporting other local businesses. And if that's not enough, they also support the local artist community! You'll see pieces by local artists displayed along the walls of the shop, and on Friday's and Saturday's, you can listen to local musicians. 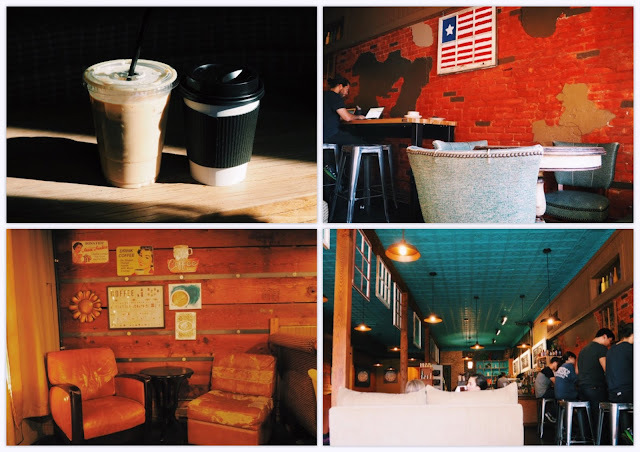 Whether you're looking to chat, study, or just enjoy coffee, this is your place. It may be a bit of a drive from Dallas, and you may be wondering why you should make the drive when there's a perfectly suitable Starbucks right down the road... But I'm here to tell you, it's well worth it.